OnePlus is going to announce the OnePlus 3 tomorrow, but the next "flagship killer" has been in the rumorland for months. It's not that we have a lot of things left to learn, but we always appreciate a good leak ahead of launch. Today we got two detailed live pictures for you to enjoy. They confirm the 2.5D front glass and the leaked back from previous leaks. The front key should be doubling as a fingerprint scanner. 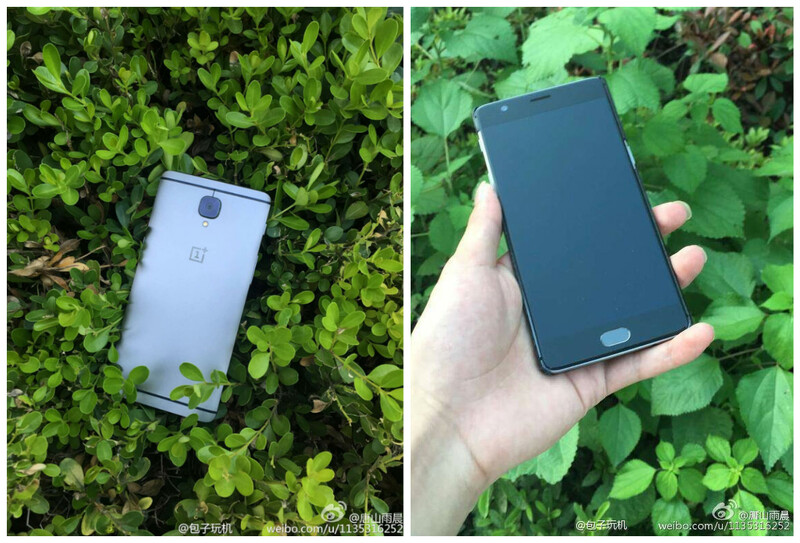 Lots of previous reports suggest the OnePlus 3 will feature a 5.5" 1080p display and run on the Snapdragon 820 chip with either 4GB Or 6GB of RAM. You will be able to choose between 32GB, 64GB, or 128GB of internal storage. The rest of the known specs include a 16MP main camera, an 8MP selfie shooter, a 3,450 mAh battery and Android Marshmallow. The first 1,000 units were sold in China for about $460, but the exact retail price is yet to be announced. We will know everything tomorrow, so stay tuned - the OnePlus 3 is almost upon us!